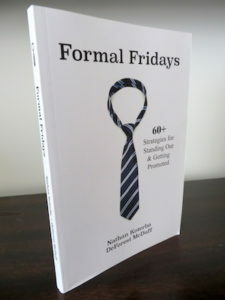 The Formal Fridays book contains over 60+ strategies organized by category for easy reference in one consolidated format! 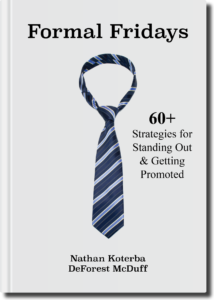 Great for family, friends, mentees, junior colleagues, co-workers, subordinates, new graduates, and anyone else looking to stand out and get promoted in the workplace. 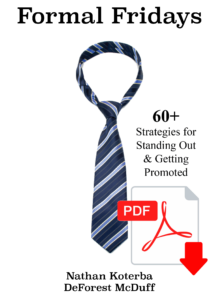 Looks great on the bookshelf or on your desk! Nothing like the feel of real paper! 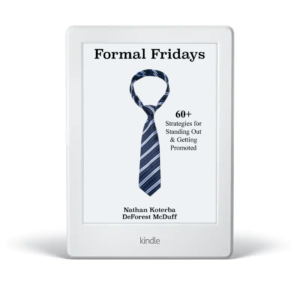 Add to your Kindle account/e-reader and easily take it everywhere! For those who want the flexibility of digital and print! 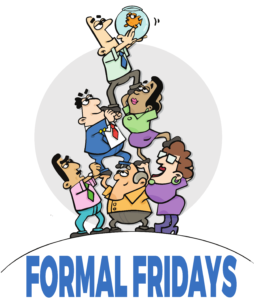 Refer a friend and get 50% off! They’ll get 50% off too.